In a recent poll by Counselling Directory, 42% of people admitted that they hate answering their phone. We use our phones every day. In fact, according to Ofcom, two-thirds of people now own a smartphone, using it for nearly two hours every day to browse the internet, access social media and shop online. Do you notice one thing missing from that list, though? That’s right. We’re using our phones for pretty much every task under the sun, other than to actually phone people. It is arguable that these days, the purchase of a phone is made less out of its ability to help you call people, but more likely as a result of the other social functions it offers. Are we overly attached to our phones? We’re constantly bombarded with scientific research revealing new (often conflicting) insights about our relationships with our phones. Some sources would have you believe that we can’t bear to be without our phones, to the extent that some people actually experience a form of separation anxiety when parted from them. Although, according to the very same research, this has little to do with being unable to make or receive phone calls. In fact, scientists claim that this may be because smartphones are so advanced and personal to us, that they’ve actually become an extension of ourselves. Other research would have you believe that avid mobile phone users also suffer from higher levels of anxiety. In fact, rather than helping us to feel more connected to friends, phones may be heightening anxiety, as many feel obligated to keep in constant touch. So, being apart from our phones makes us feel anxious, but so does being on our phones all the time? Go figure. We have a complicated relationship with phones. But, for some people, the anxiety they cause is really impactful. 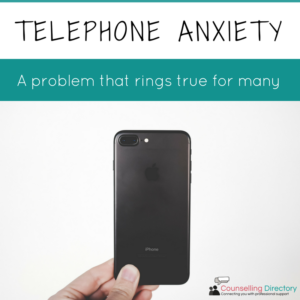 We explore telephone anxiety in more detail, including the results of our own survey, as well as insight from a counselling professional. Feeling extremely anxious or nervous before making a call, or answering the phone. 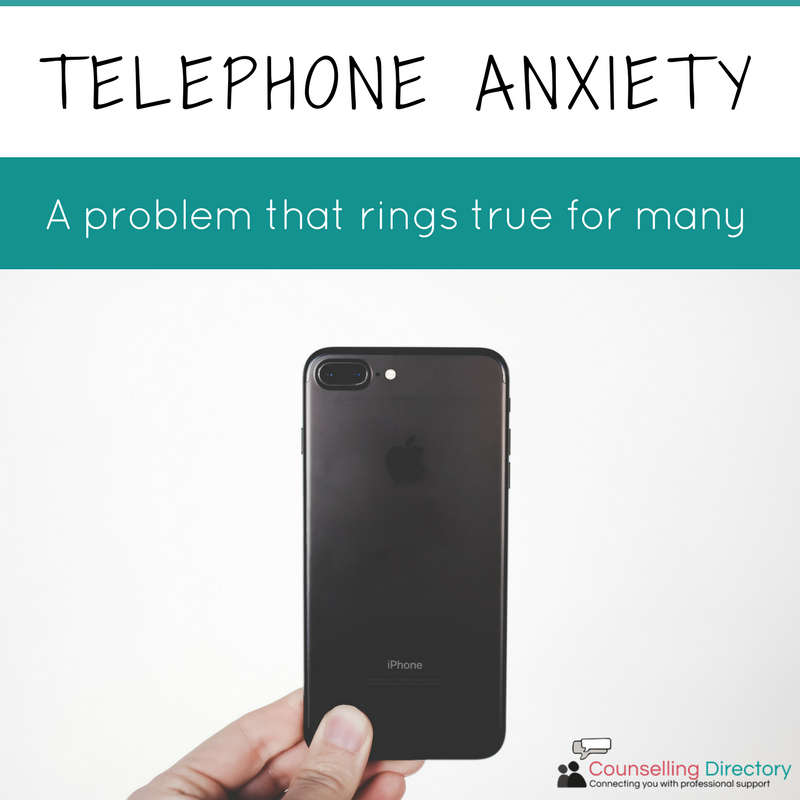 Delaying or avoiding making phone calls as a result of anxiety. Worrying about what you’ll say, or if you’ll embarrass yourself. Obsessing what was said after calls. We spoke to Abi Peacock, 24, about the symptoms she experiences. We asked our social media followers how they feel about talking on the phone. 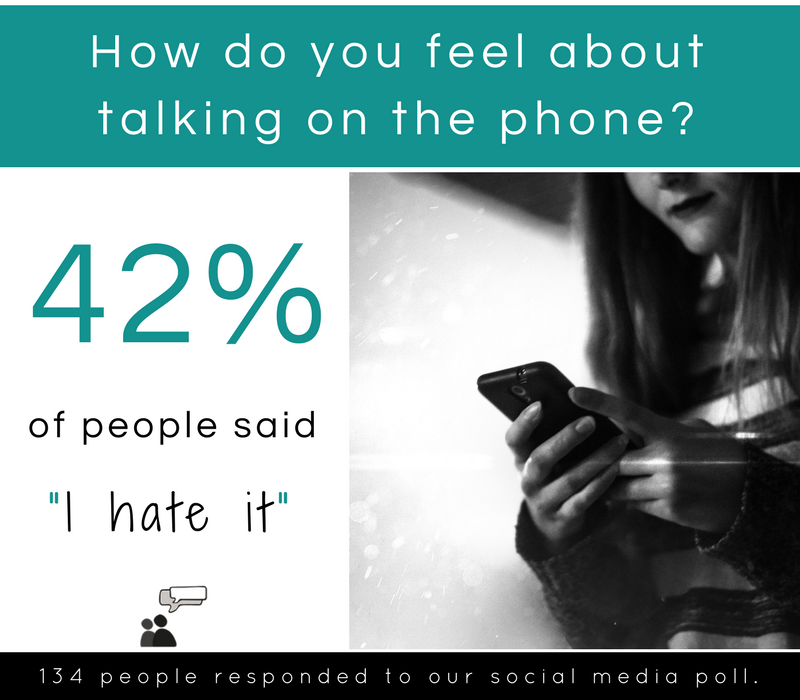 In a poll of over 100 people, our results revealed that whilst almost half of people (47%) said they felt ‘fine’ about speaking on the phone, 42% said that they ‘hate it’. In fact, only 11% of people actively enjoy speaking on the phone. So, why are we anxious to speak on the phone? Whether you’d call it active avoidance, or simply moving with the times, communication is moving from spoken to written, or even image-based. Think we’re exaggerating? Ever communicated via emojis? We’re all as guilty as each other. You could see it as a bit of a chicken-and-egg situation. More of us have phones than ever before, but as they grow in technological advancement, we’re using our phones to talk less and less. We’re out of the habit of talking. So, when the need arises to dial a number on the phone, it can feel overwhelming and a little scary. We spoke to Counselling Directory member, Richard Miller, about what it is about speaking on the phone that can make so many people feel uncomfortable. “Perhaps it’s because we only make phone calls when it’s important – when something matters. If you’re ill, you’d call your boss to say you can’t come in today. You need to call back an angry customer. You need to pass the phone interview. Some worry that they may be found out; what if you don’t know what you are talking about? What if you think you know what you’re talking about, but actually don’t? If you’re at work, what if your colleagues are listening in? What if you embarrass yourself in front of a customer? There is no pausing time barrier in a phone call, there’s a pressure to respond quickly. The chance of failure seems greater. In phone conversation, we’re not able to read nonverbal cues like we would do in more direct social interactions. In a face-to-face encounter, we can see facial expressions and body language, which reveal a lot about the other person. When this element is missing, in phone communication, it can cause a sense of unease. 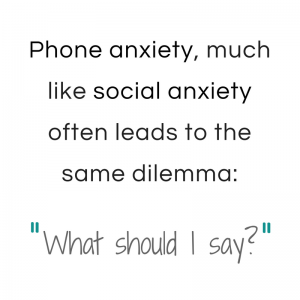 Not always the case, but often, telephone phobia can be linked to social anxiety. Social anxiety disorder is a common disorder, involving fear of social and performance situations in which others may judge you negatively. A phone fear may reflect issues that you are contending with, regarding interaction with others at large i.e. communication in general. If this is the case, you may be experiencing Generalised Social Anxiety Disorder. If on the other hand, you find that you are comfortable in most other social situations, and it is only phone calls that trigger anxiety, you may be experiencing Specific Social Anxiety Disorder. It’s possible that your anxiety might stem from lack of experience, rather than a bad experience per se. So (whilst it might not be what you want to hear), perhaps, the more you practise, the more you will feel ready for all the different scenarios you might encounter. Frequent practise can help with developing your own ‘phone persona’ that feels comfortable and confident. Of course, when it causes you to experience intense symptoms of anxiety, this can be easier said than done. 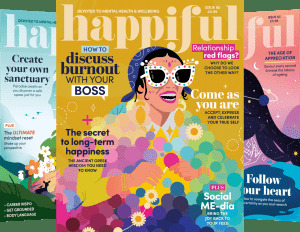 For some helpful tips and advice on how to deal with telephone anxiety, visit Happiful. If you have previously tried to combat your fear, or think you would benefit from some professional assistance, counselling for anxiety is one form of treatment. Talking to a counsellor can help in many ways and they may be able to teach you some effective coping techniques. There are many types of talking therapies available, though the most commonly prescribed is cognitive behavioural therapy. If you are ready to seek professional support, you can find a registered counsellor in your local area using our directory, or through your doctor. Remember, this is a common issue. But, it’s important to try to confront these feelings, rather than let them remain a hold on you.